About 3 weeks ago Chloe had 4 adorable kits! Right now they are at the peak of baby cuteness. 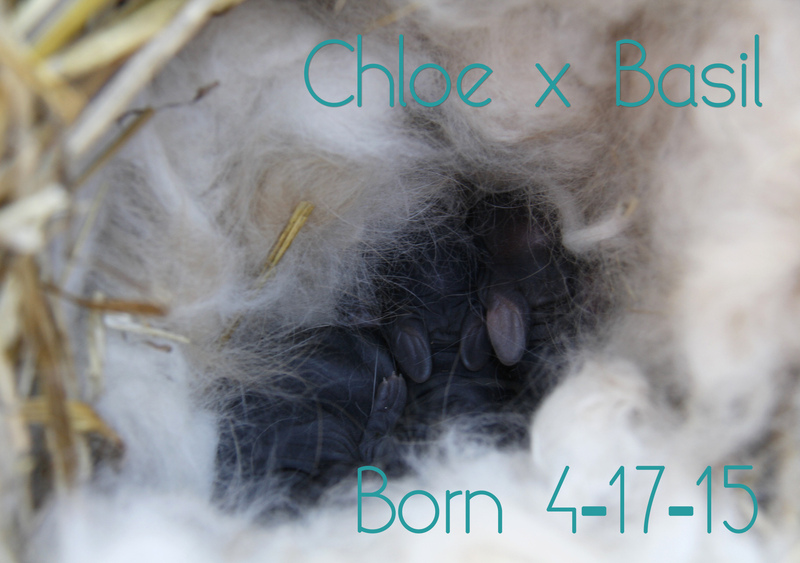 This was an accidental litter of Chloe, (Black Tort) X Andre (Chocolate Tort). 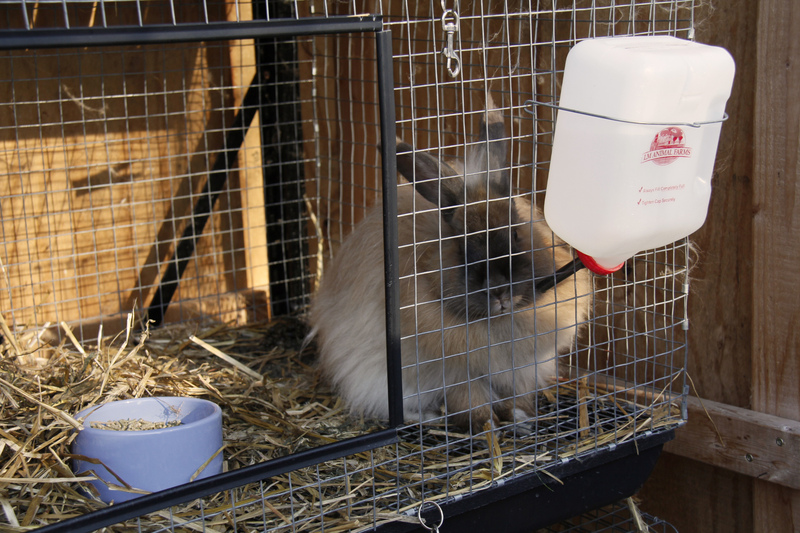 (Rabbits are very sneaky!) I think there are 2 males and 2 females, 3 Black Torts and possibly one Blue Tort. I am excited to see how the possible Blue Tort develops… I’m tempted to keep her. She is the runt of the litter and is very highly shaded. 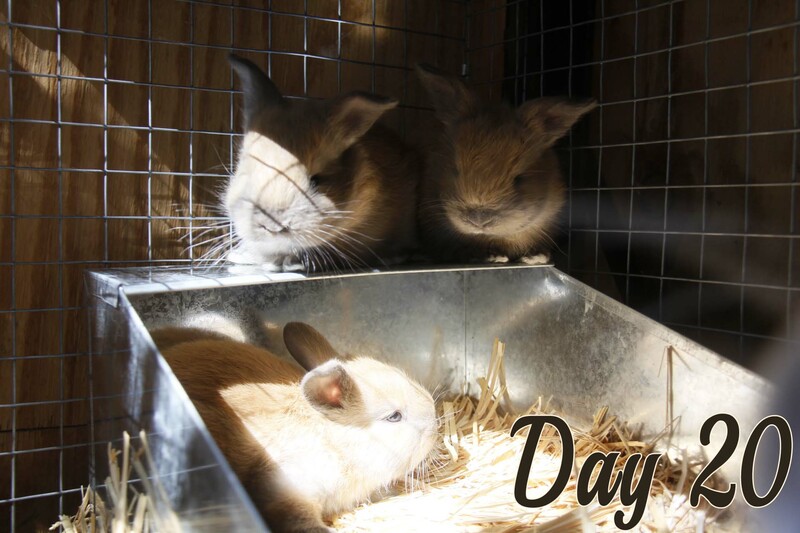 She is the one farthest to the left in the picture above – you can see how she is shaded compared to her littermate. 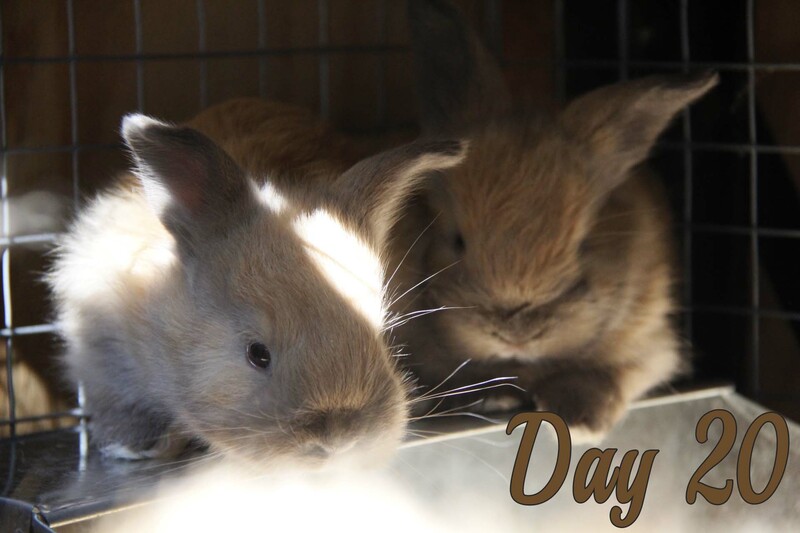 This litter will be ready to go to new homes by October 25, but you can reserve one until they are old enough to leave their mother! Contact me, and we can work something out. 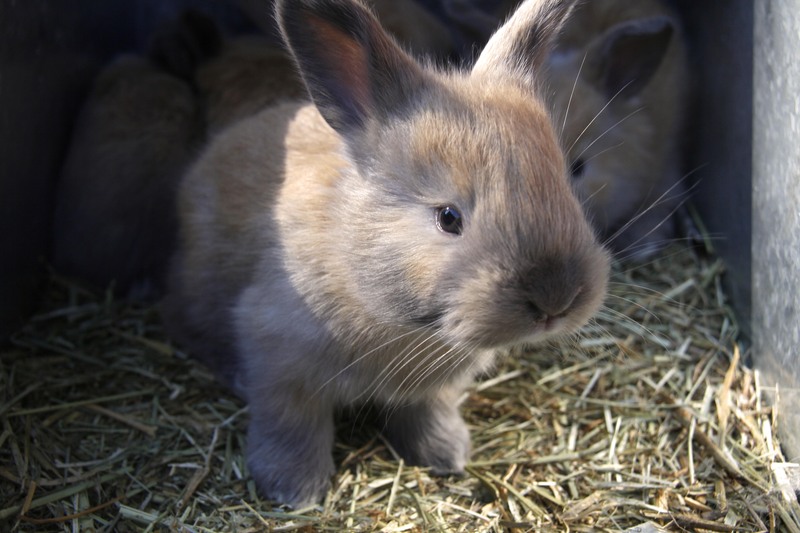 The babies will be $25 each or $45 for two, with partial pedigree. ..to their new homes! 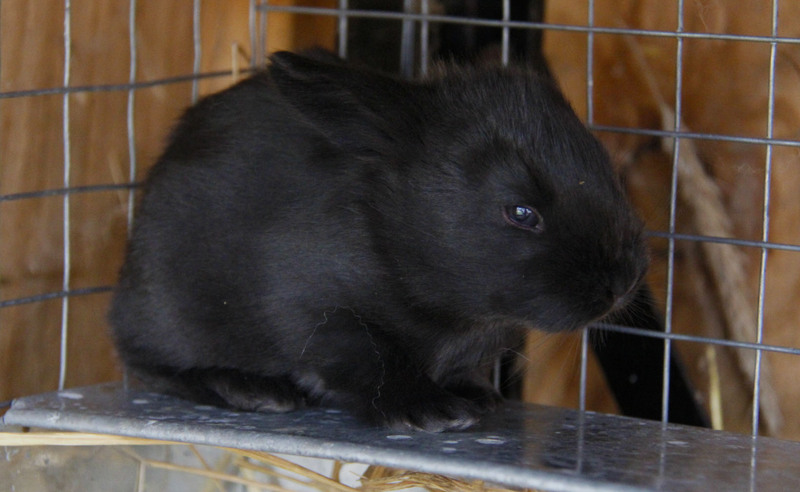 I have 2 black and 2 agouti French Angora bunnies for sale, born 4/17/15. 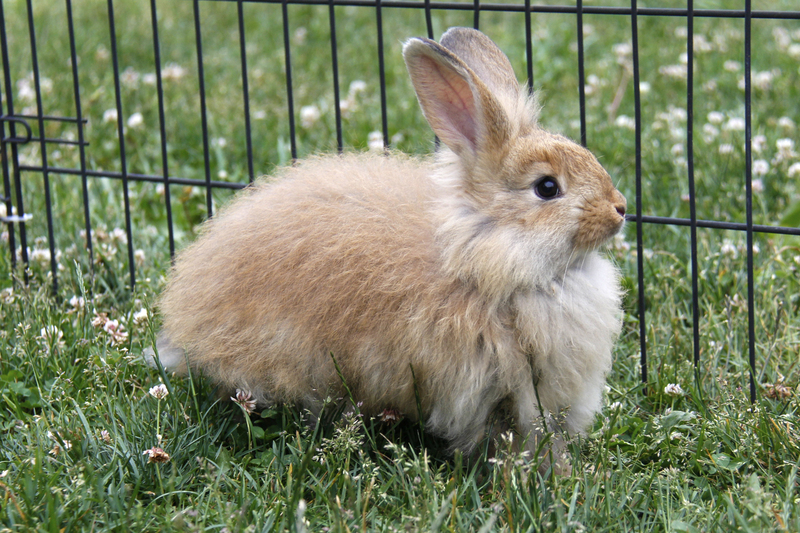 I updated my Rabbits For Sale page, so please check it out for more info. Thanks! 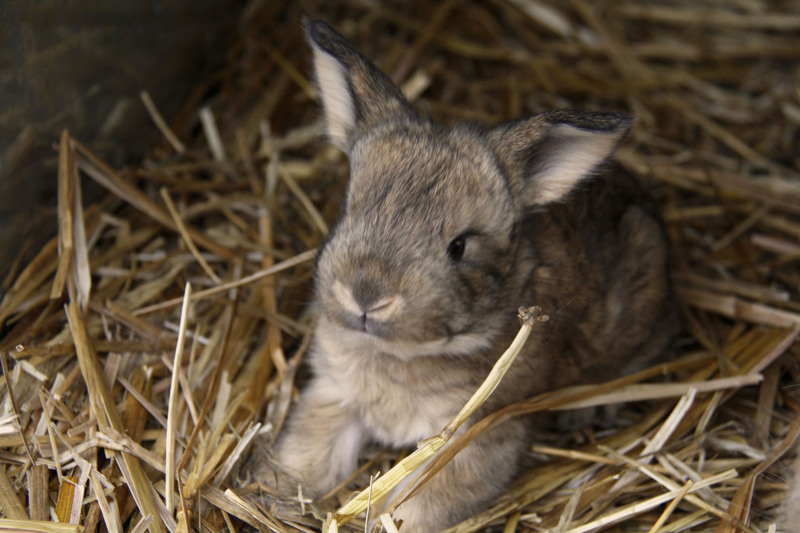 The babies are 2.5 weeks old, and at the peak of cuteness. Enjoy! 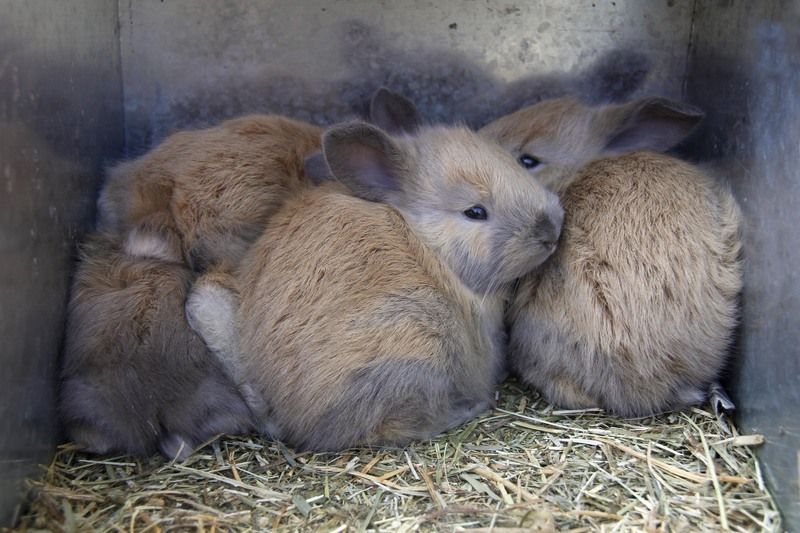 This litter’s colors are 3 black and 2 agouti. 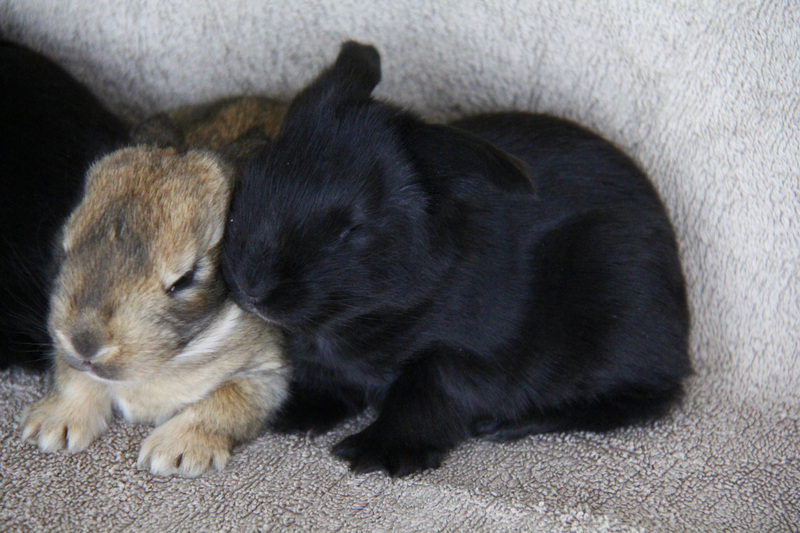 I will be keeping one of the black ones if it is a doe, but the rest I will be selling, so feel free to leave a comment and reserve a bunny for you! 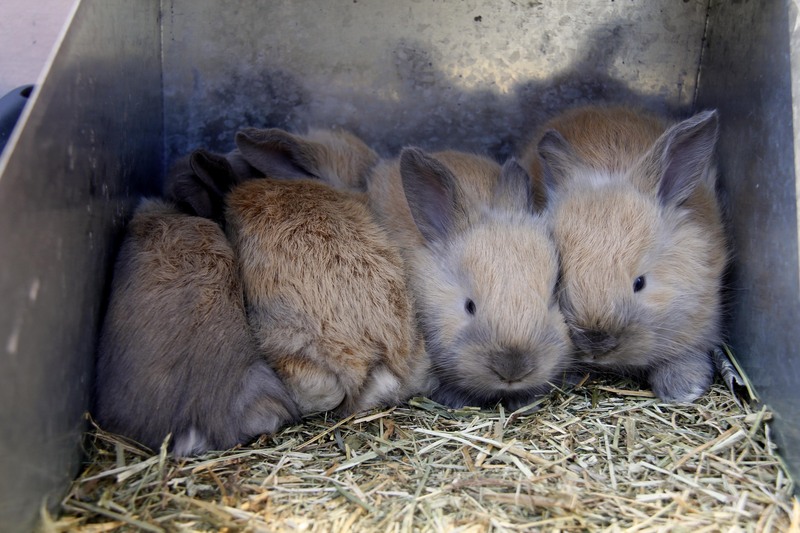 ..With baby bunnies again! 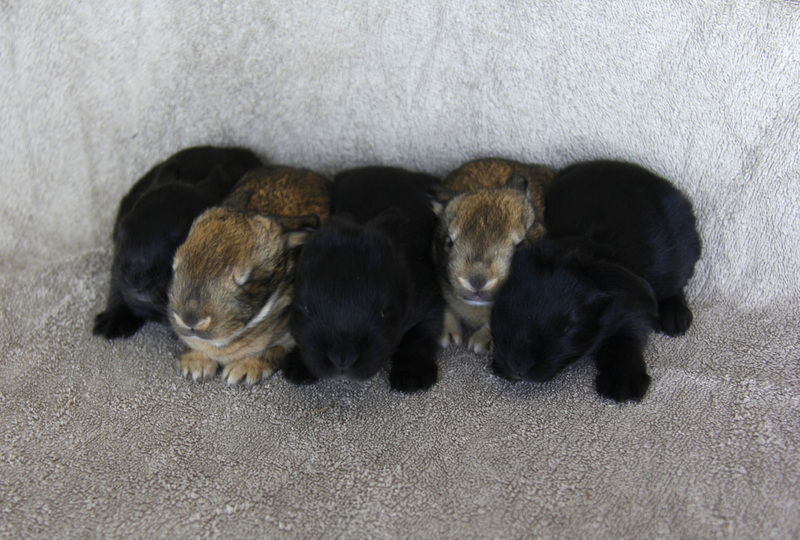 This litter of 5 is from Chloe (Black Tortoiseshell) x Basil (Chestnut Agouti). I am hoping for some new colors in this litter. 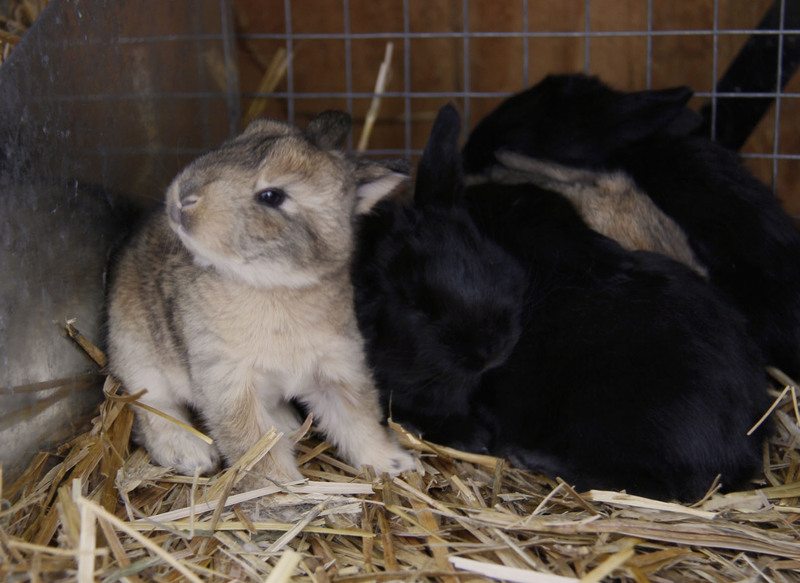 (Last litter all the babies were Black Torts, same as their mom Chloe.) I’m not sure what color these guys are yet. 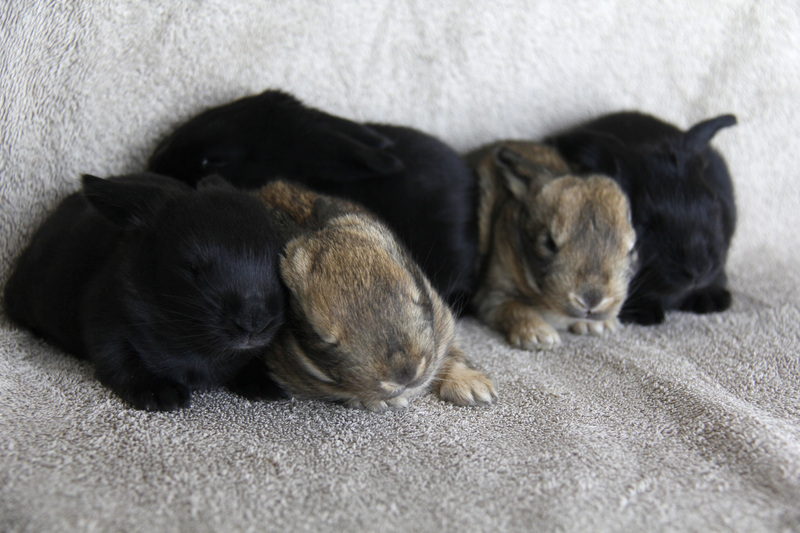 I think 3 are all black and 2 are black with pink tummies and ears. They are only a few days old, so by the end of the week they should be old enough for me to take them out of the nest box and get a good look. This litter was interesting because 3 were born on Friday afternoon, and 1 was born on Saturday morning, and another Saturday afternoon. All were healthy though, and Chloe seems to be fine. She was early- she wasn’t due until Sunday! Here is Chloe- she looks pretty ragged because of all the fur she pulled for the nest. 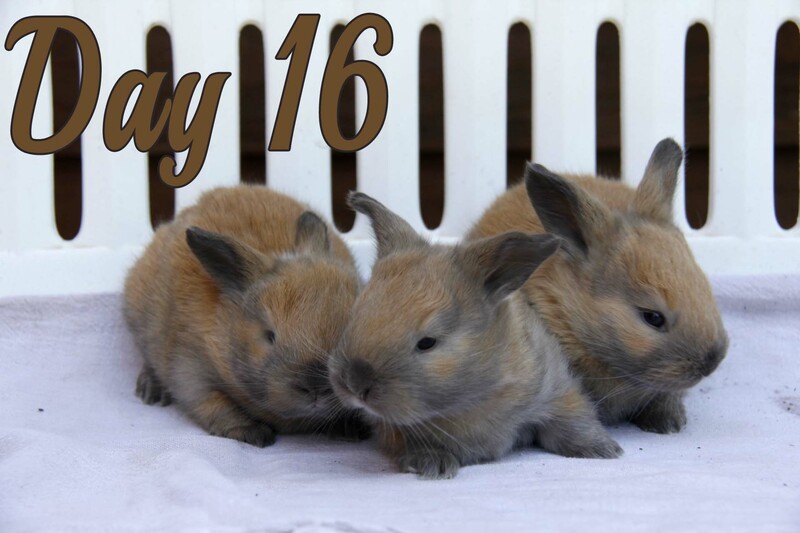 The babies are going to be 3 weeks old tomorrow! 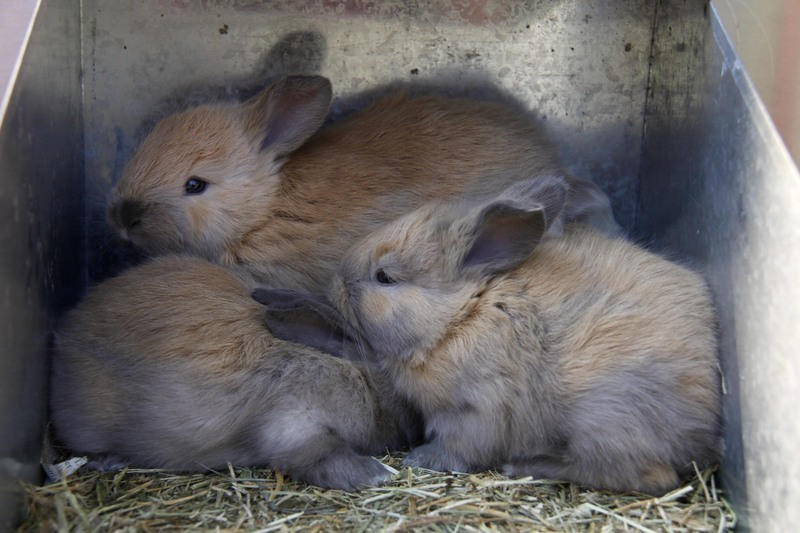 They’ve started hopping up on top of the nestbox. 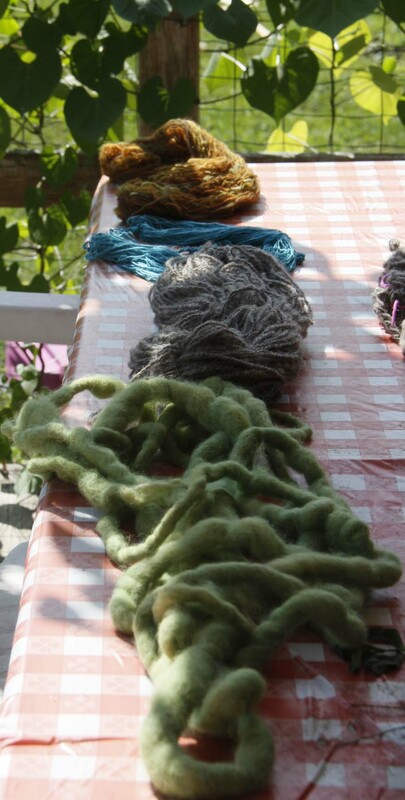 Today I set the twist in some yarns, which means I soaked most of them in very hot water until the fibers plumped up, and then drained the water out and set them to dry. For overspun yarns, instead of soaking it in hot water, I steam it for 20 minutes, and then weight it to dry. That helps to reduce the amount of kinkiness in the yarn. The bucket has sand in it to provide the weight.